What is the biggest number ever used? 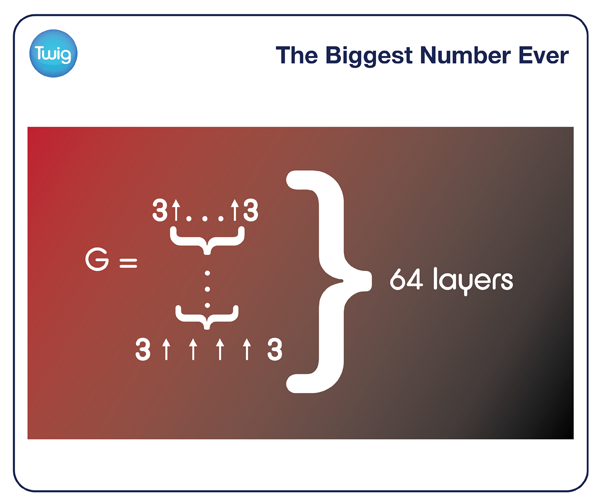 Graham's number, discovered in the 1970s by mathematician Ron Graham, is so big as to be unfathomable. No one even knows what the first digit is – and a special form of notation is needed to describe it. What is the biggest number you can think of? Beyond these familiar terms, mathematicians rely on numbers so huge they are practically useless, but which mathematicians need to test their theories. Prof Hugh Woodin, University of California, USA – "One of the largest numbers we have a name for is a googol, and it's one followed by a hundred zeroes. 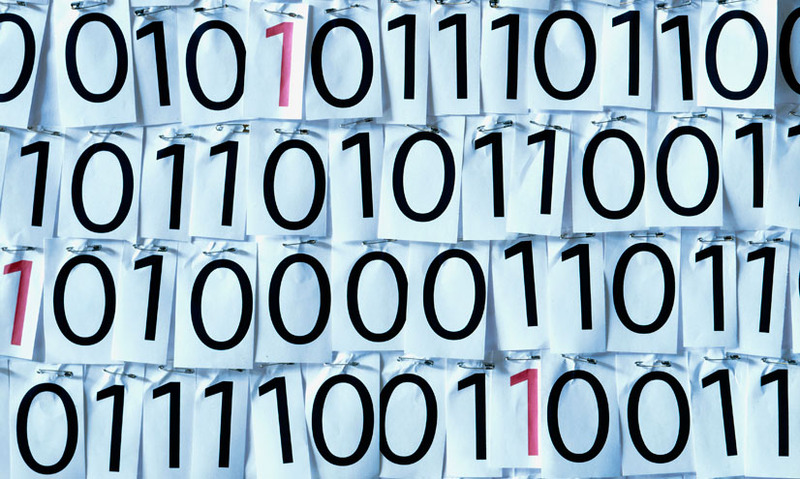 A hundred zeroes is a lot because each zero represents another factor of 10." Rather than writing out 100 zeros, standard form indicates the number of zeros as a power. This means only five digits – 10 to the power of 100 – are needed to represent a magnitude greater than the number of atoms in the known Universe. But the googol is nothing compared to its big brother. Prof Peter Cameron, University of London, UK – "The googol itself was only a stepping stone on the way to a much, much larger number called a googolplex. A googolplex is 10 raised to the power of a googol, that is it's one followed by a googol of zeroes." A googolplex is so large, there is not enough matter in existence to write it longhand. As numbers increase towards infinity, mathematicians know less and less about them. But there exists a number that is the biggest ever used. It is so big that even so-called power towers are useless to describe it. Prof Hugh Woodin, University of California, USA – "Graham's number is much, much bigger than a googolplex. In fact, it's as large relative to a googolplex as a googolplex is to the number 10. In fact, it's much, much bigger than that!" Mathematician Ron Graham discovered his number in 1977, when he was working on a complex equation involving multidimensional cubes. He had to create an extreme upper limit – the highest value at which his equation would work. Graham came up with such a big number it isn't written using powers, but needs a special form of complicated notation. Because the number is a limit, Graham knows it must be finite. But he doesn't even know what the first digit is. Although he has finally managed to calculate the last! Prof Ron Graham University of California, USA – "So that means that the remainder when we divide by 10 is always 7 – in other words, if I may conclude, that the last digit of Graham's number is 7. End of the story!" Although it does beg the question, what happens if you add one?